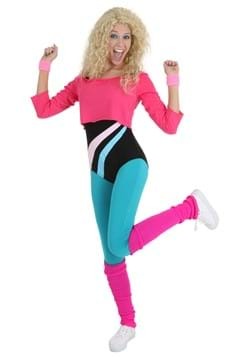 Everything that was cool once will be cool again… in no case more so than 80s workout gear! The 80s went down as an era with a ton of fads, but none were as prevalent as the 80s fitness craze. 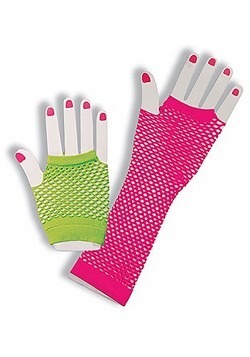 And, of course, the brightly colored neon workout outfits that came with it! 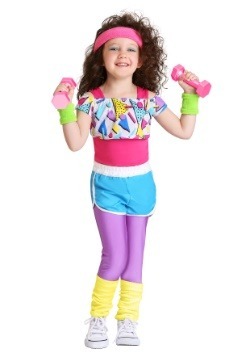 Well, we’re ready to help you relive this throwback, with our wide selection of our 80s workout costumes! 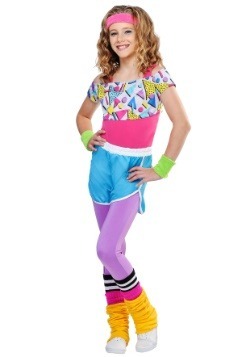 Our workout costumes recreate styles that will make you think we transported straight from the 80s. 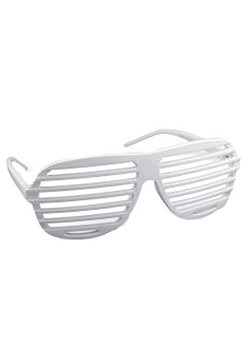 But, don’t worry, this is brand new stuff! No thrift store shopping required, although our costume designers probably shopped for a few vintage pieces to help aid their designs. 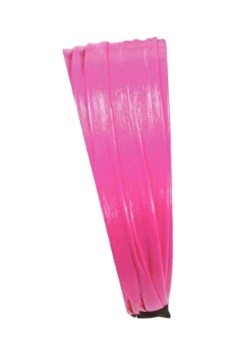 We did, in fact, make several of these selections right here in our own costume studios, and they’re bright, vibrant, and exclusive to our site! Perhaps you’d like to try some Jazzercise. 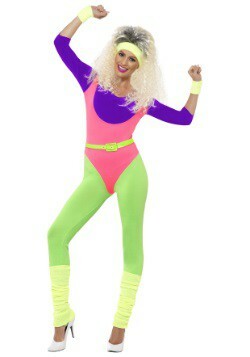 If that were the case, you’d definitely want our 80s Workout Girl Costume. 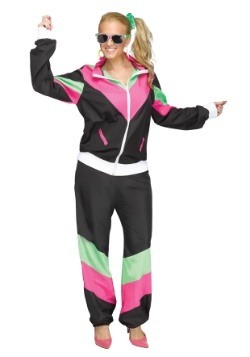 It comes with a bodysuit, leggings, and a crop top sweatshirt, it has everything you need to burn some extra calories with jazz hands! 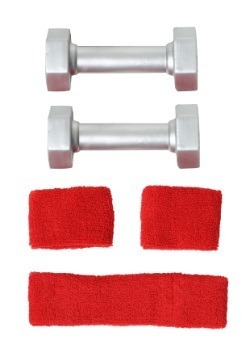 Of course, the perm and the leg wamers you’ll have to supply on your own, but don’t forget them to look just right when you’re working out! Maybe you’re more of a Debbie Reynolds’ devotee, after all, her fitness video “Do It Debbie’s Way” was a huge hit. 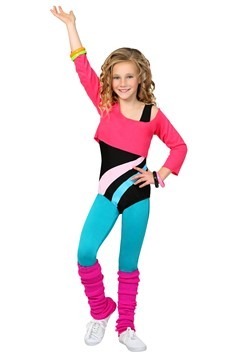 Our Work it Out 80s costume is ready for intense cardio, as the leotard , crop top, and vibrant color scheme will have you ready for an intense fitness regimen. 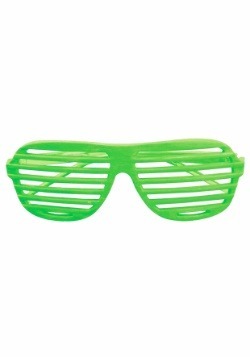 This costume is also a Made by Us original created right here by our own costume designers! 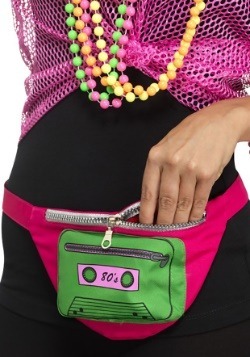 Jogging is always a great idea to stay in shape, too, be it the 1980s or the 2010s. 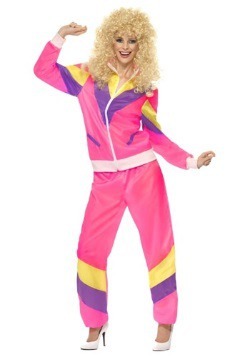 So, maybe your 80s workout costume choice is a simple tracksuit! 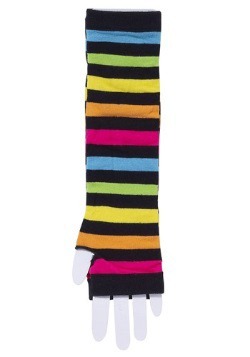 It’s an easy wear selection, and we have variations for both men and women. 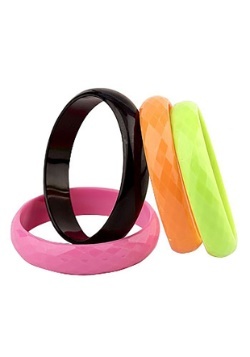 In vibrant neon colors, any choice is sure to have you jogging the track in style. 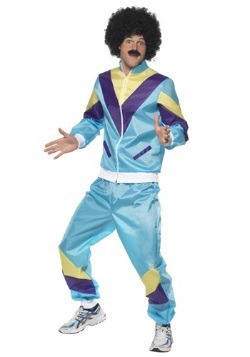 Get ready for the 20-yard dash, or the 5-minute mile with one of these windsuits! 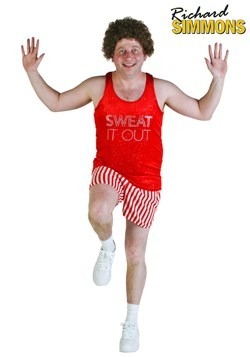 Of course, when you really need to get in shape, you might want to put in the VHS tapes of the famous Sweat it Out star to really get rocking. 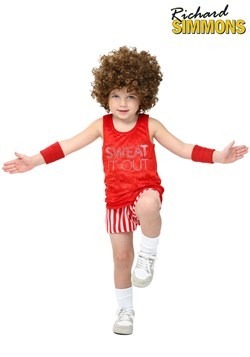 Well, we have a Sweat it Out Star Costume that will have you ready to workout to all your favorite tunes! 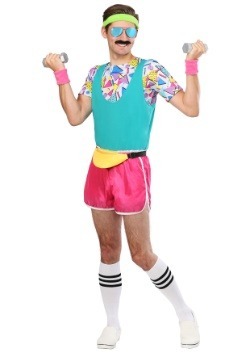 A sparkling tank top and extra-short short shorts will give you a memorable 80s outfit of the era. 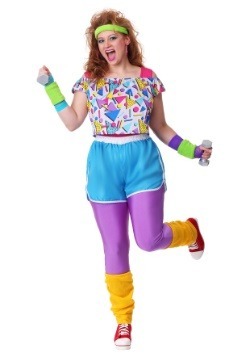 When it comes to 80s Halloween Costumes, these fitness inspired styles are some of the top selections for a ton of fun. We’ve got variations for women, men, and children, too, so everyone can get involved in the fun. 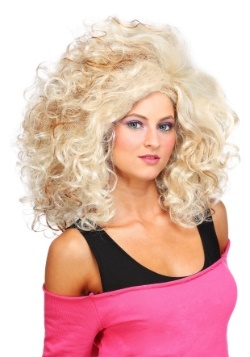 Get your friends and family all together in coordinating 80s costumes, and your retro group is definitely going to be ready to work it out!